With this device you can upgrade your GameBoy Advance, GameBoy Colour, GameBoy Pocket or Gameboy (DMG) to support a LiPo battery in the simplest form possible – the diode drop method (not needed for the DMG). 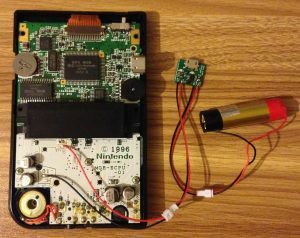 The diode drops about 0.7V – 1V so the red LED should light up on a GBA when the battery is around 3V – 3.3V on a regular cart. 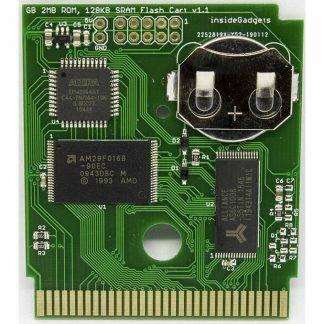 Not recommended for systems that use more than 200mA – e.g any high current consumption flash carts. 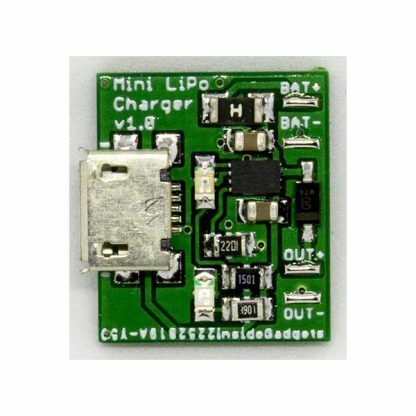 This is a DIY part, you will need to solder your LiPo battery leads to the board and wires from the board to your device. 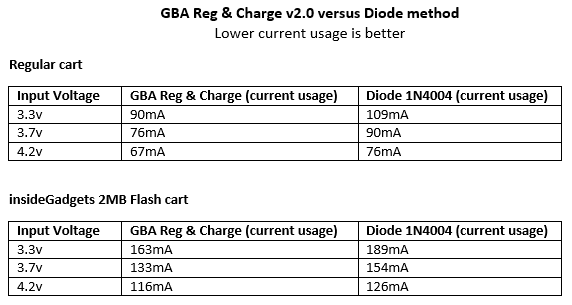 If you compare this to the GBA Reg & Charge solution, you waste around 9mA-30mA depending on the battery voltage, check our measurements here. Each unit is assembled and tested in house. 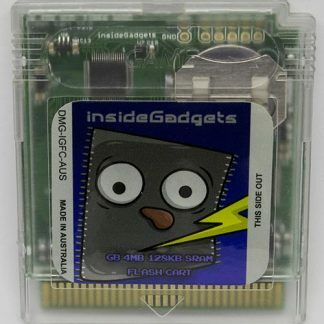 You will receive the product as pictured. 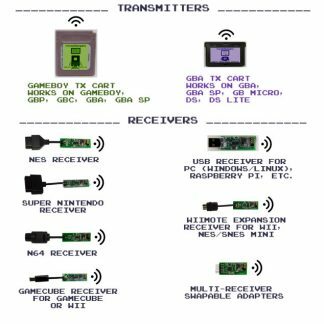 • In-line Diode to allow it to work with the GBA/GBC/mGB (uses more current compared to GBA Reg & Charge solution). 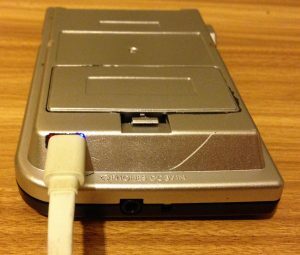 • Non-diode version works on a DMG (uses around 20-30mA more than compared to regular AA’s so it will put extra load on the DC-DC converter). Disclaimer: We shall not be held liable to and shall not accept any liability, obligation or responsibility whatsoever for any loss or damage that may occur by using this product directly or indirectly. 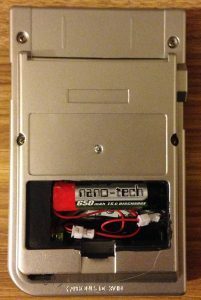 After purchasing a Gameboy Pocket shell, you can cut out and file some of the material to make room for the device above the speaker and fit in a LiPo battery too. You’ll also need a bit of glue to hold it in place.